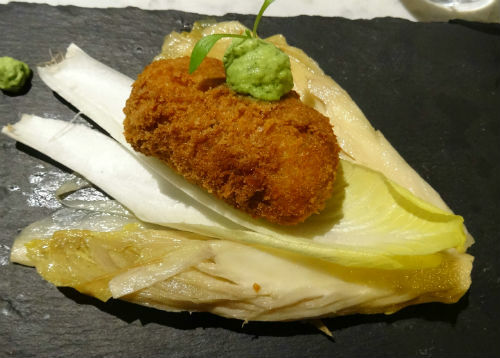 Despite having a terrific vegetarian and vegan food scene, Brighton’s meat-free establishments tend towards the cheap and cheerful, leaving it to Food for Friends and Terre à Terre to fly the flag for high-end veggie dining in the city. 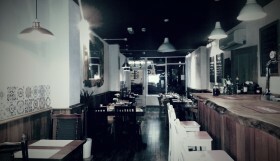 Now, setting out to provide an alternative is 1847 Brighton, recently opened in Brighton’s North Laine. This is the fourth branch of the independent UK chain, which is named in honour of the year the Vegetarian Society formed. 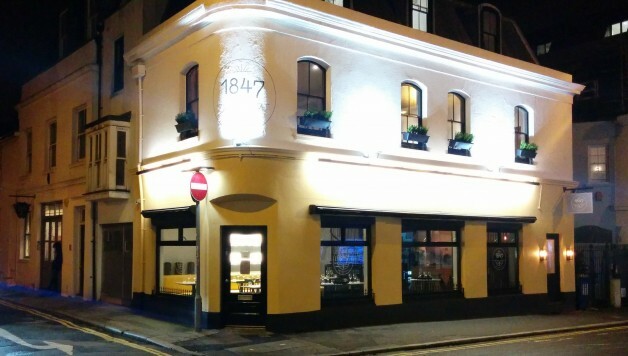 The 1847 mission is to provide modern veggie bistro dining and its price point is cleverly mid-range, with a menu offering two courses for £19.50 or three for £25. 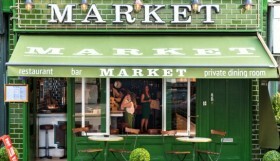 The menu has a European/fusion feel, and eschews uber nutritious plates, dominated by greenery and grains, in favour of poshed-up gastro-pub fare, like beet Bourgignon and lentil merguez with mash, proving that meat-free mains can be just as hearty as their flesh-based counterparts. 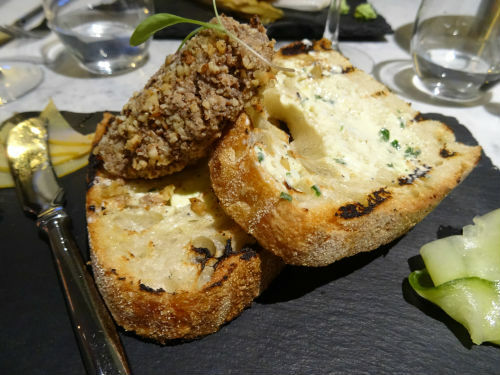 We start with a mushroom and walnut pate, which has a deep, earthy flavour, beautifully complemented by slightly tart slivers of pickled quince. A sweet parsnip croquette offers wonderful texture but is lacking a salty note, and the cold chard it’s served with seems unnecessary – better would be to have several croquettes with a more flavoursome dip than the insipid dill mayonnaise served here. What cheese-loving vegetarian can resist the now modern veggie classic, battered halloumi and chips? 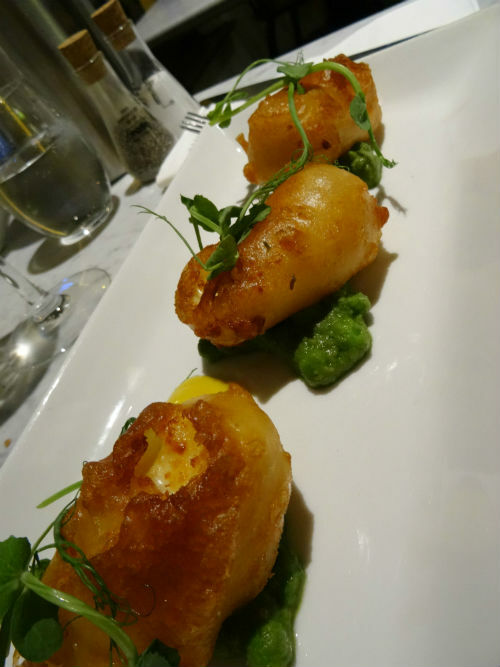 The halloumi in the 1847 version is soft and oozy, with a texture bordering on that of mozzarella. It’s encased in a ginger beer batter that is astonishingly crisp and light – in all seriousness, probably better than that found in any chip shop in town. 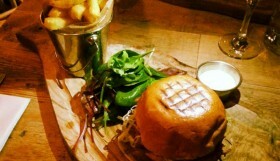 It’s served with semi-mushy peas with mint and basil, and decent triple-cooked chips. The one bit of unnecessary gastro-faff is a ‘savoury’ lemon curd that tastes like, well, lemon curd. A decent tartare sauce would have done the job better. 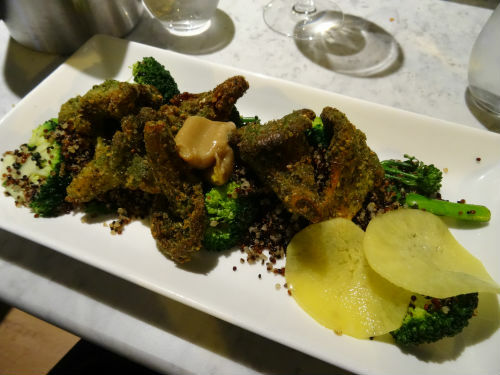 Our second main is a mixture of breaded and deep-fried oyster mushrooms with quinoa and broccoli. If that all sounds a little worthy, it’s worth noting that it’s a fully flavoursome dish, heady with cumin and topped with a powerfully garlicky puree. 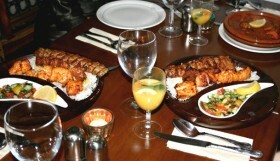 Happily, the portion sizes for both mains are plentiful. The desserts, so promising on the menu, are undoubtedly the low point. 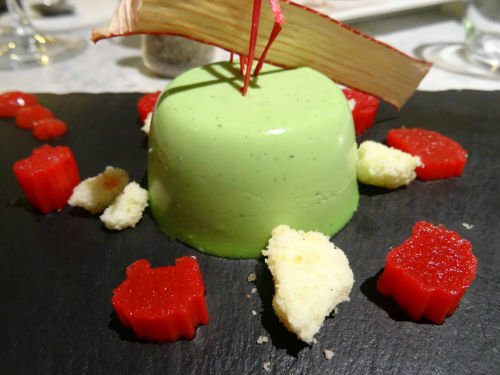 The green tea panna cotta with rhubarb pieces certainly looks striking (and a little alien), but it’s as dense and solid as an overcooked sponge. And the chestnut pie is even more disappointing; consisting of a chestnut mousse that tastes as though someone forgot to add the sugar and a cinnamon sable biscuit with a cardboard-like texture. The affogato or cheese board might be safer options next time. 1847 isn’t exactly setting the world alight, but – our desserts aside – it isn’t really doing anything wrong either. Not quite refined enough to compete with the two stalwarts of Brighton’s veggie fine dining scene, and not quite relaxed enough for the pub diner, it’s nevertheless a pretty classy addition that sits comfortably somewhere in the middle. No doubt the founders of the Vegetarian Society would be proud.